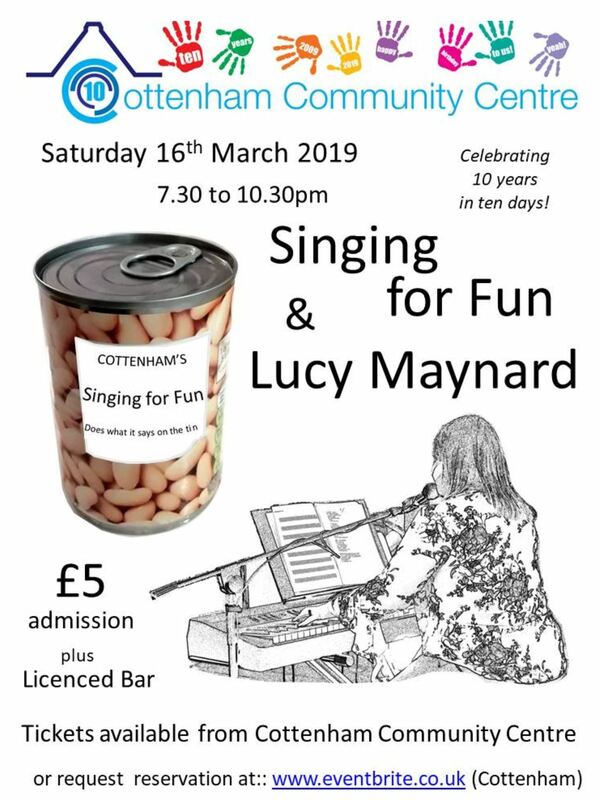 Lucy Maynard and Singing for Fun, Saturday 16th March 2019, 7.30 to 10.30pm. Tickets £5, from the Coffee Shop or may be reserved online here. Part of our 10th anniversary, 10-day celebration.